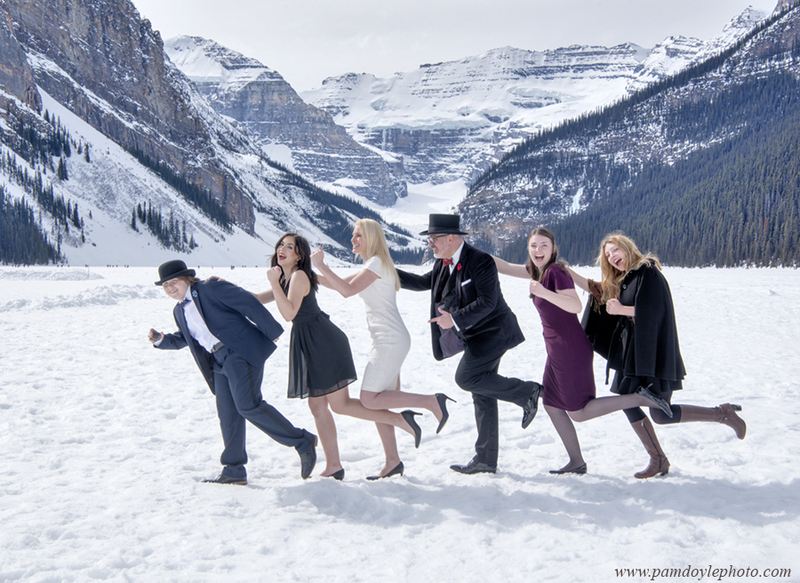 The warm sun and white snow on frozen Lake Louise made for a beautiful outdoor wedding at Lake Louise on March 23, 2019. The snow was a bit slushy on top but the lake was still frozen so it was safe to walk out and stand on the ice during the wedding ceremony. 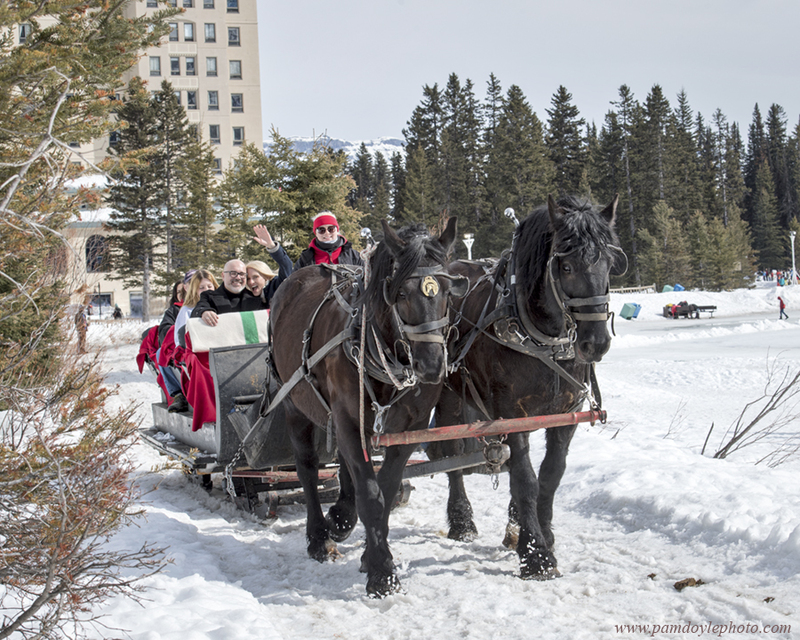 And the lovely couple topped off the day with a sleigh ride around Lake Louise pulled by two beautiful black Percheron heavy horses from Brewster’s stables.